There are many upcoming small entrepreneurs who are actually very keen on doing their own business so that they can make some profit. However, it has been seen that the ventures which the small entrepreneurs are doing might not get back enough revenues and also face many hassles in running their business smoothly. So, what is the solution for this problem? The only thing which the small entrepreneurs can do is that they can opt for businesses where less risk is involved and even where the competition is very less. So, one of the best businesses which you can try up is the manufacturing of battery rickshaw. The demand of battery rickshaws has become very high among the common people and thus, is found in the cities also. Moreover, e–rickshaws have many usages as well, so it gives an ideal business opportunity to every small scale businessman. Why it is suitable invested in E-rickshaw? No doubt because of the growing demand there are many e-rickshaw manufacturers found around the country. Moreover, the reason why people are trying to opt for this business because the method of transportation is better, especially in this polluted environment. This mode of transport is no doubt a better option or a substitute to decrease pollution. The small businessmen will also acquire a lot of profit as not only the consumption of electric current is less but also the vehicle does not need any fuel to run. Another simple reason why small businessmen should opt for this kind of business is because for the beginners they don’t need to invest a lot of money. Along with that, another benefit of the business is that you don’t need to have a strategic location to run the business. You can ply the rickshaws anywhere on the roads. Not only this, even the businesses neither need any giant promotion or any such strategies for selling such rickshaws. As because already people are aware of them so as soon as you will start it you will get to see the result. You are thinking that if you have once started the business and more of your products are getting sold. But it won’t be a problem because there are many manufacturers out there in the market who sells spare parts for the various models of e- rickshaws. 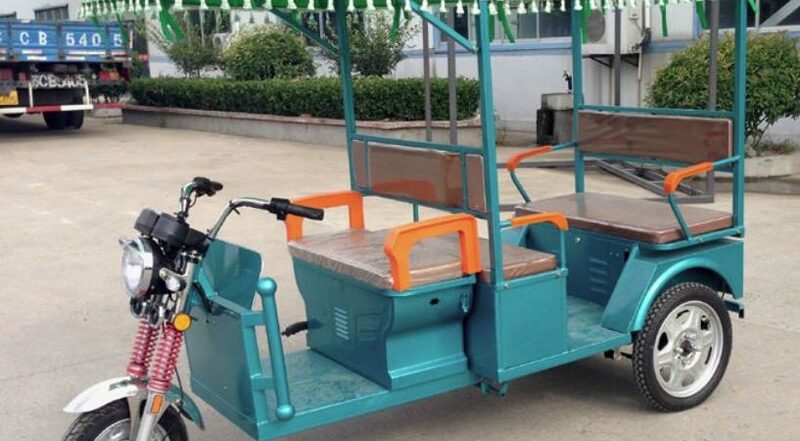 Moreover, the maintenance of e-rickshaw is much easier than the other competitor vehicles. The main attraction is the functionality of the battery for the people who buy the e-rickshaw because neither you have to spend a whole lot of money on maintaining the battery nor refuel it. Also, it is one of the most reliable modes of transport that is preferred by the common people. So, in this competitive world if a beginner or small scale businessmen thinking about some average profits with fewer risks then E-rickshaw business are the best one to adopt it.